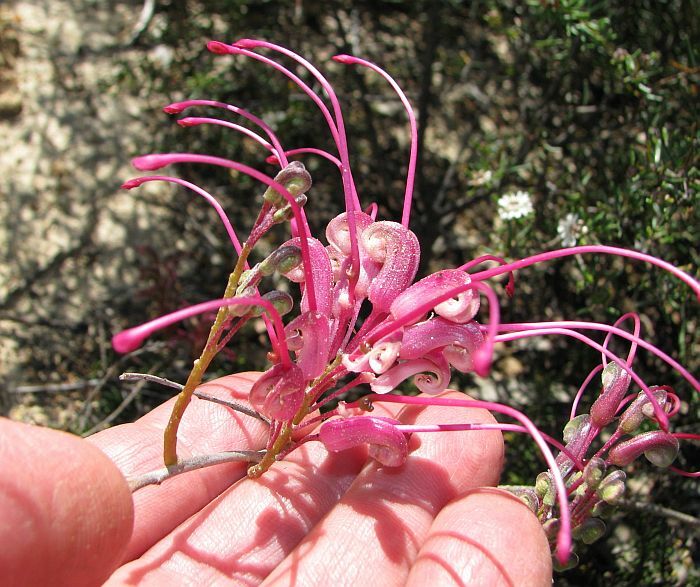 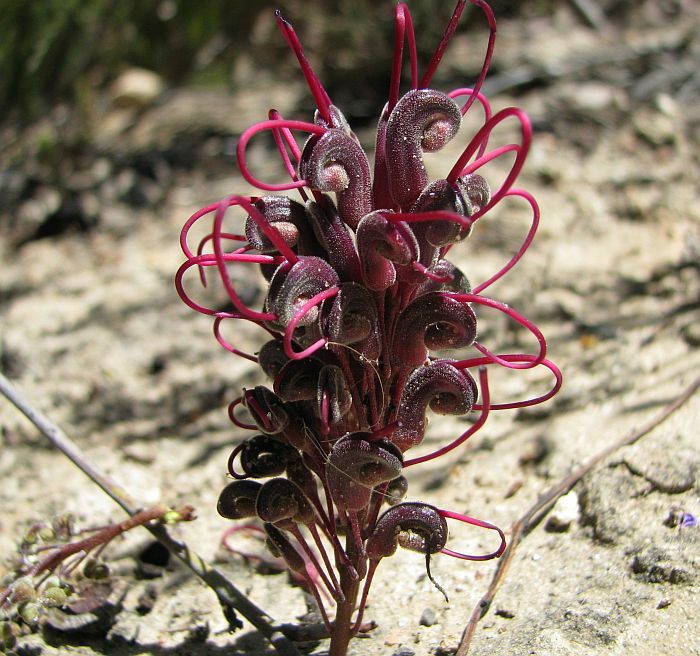 Grevillea plurijuga has two subspecies, both common within the Esperance region, with subsp. 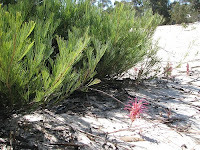 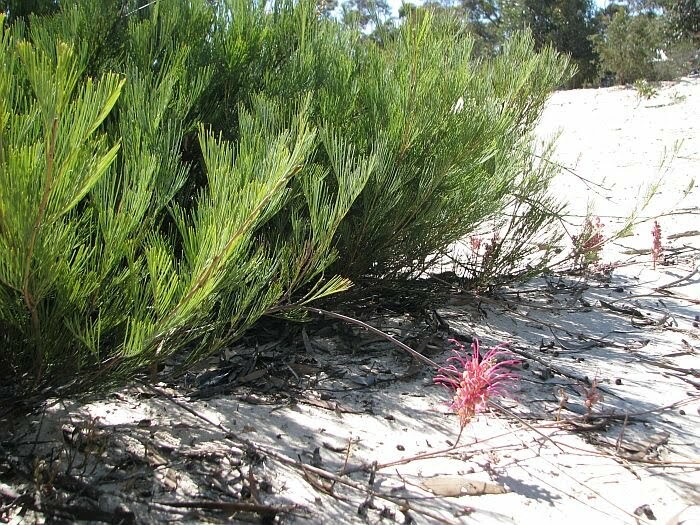 plurijuga mainly occurring to the northeast in the drier mallee that typically has a fine sand/clay soil over limestone, but can also be found on clay and gravel. In habitat it is often low and sprawling, or sometimes a more upright shrub to 2 metres (over 6') in height. 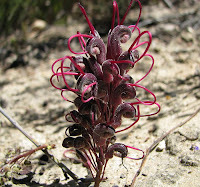 The flowers are around 4 cm overall (over 11/2") and are sited on a leafless recurved flowering stem, so they are BELOW the overall height of the shrub, or trail near the ground. 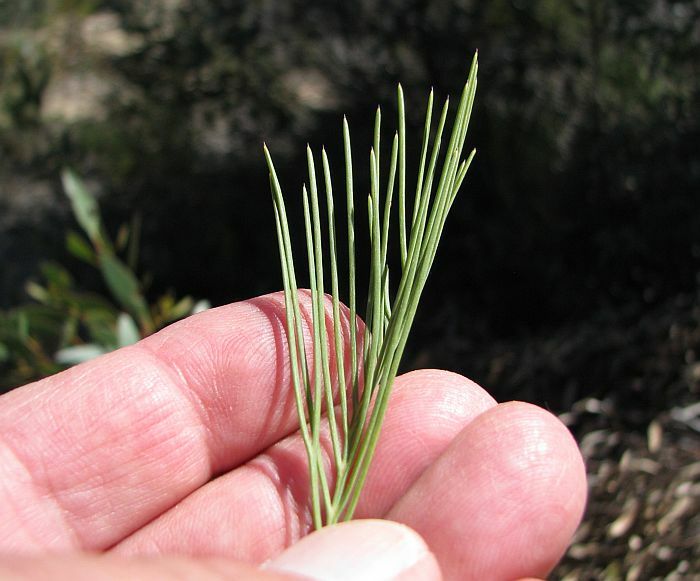 It is this feature along with more narrow leaf segments that distinguishes it from subsp. 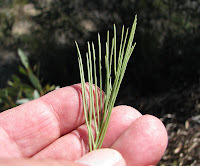 superba. Depending on local rainfall Grevillea plurijuga subsp. 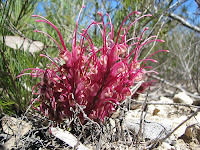 plurijuga can be found in flower from September to January with odd flowers at other times too. 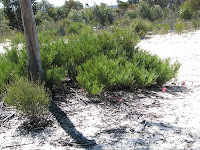 They are as you can imagine very popular with honeyeating birds.